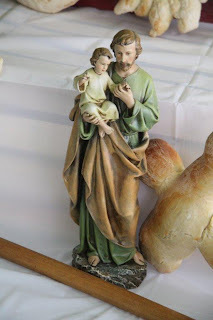 A Slice of Smith Life: Husband's Birthday and St. Joseph Celebration! To celebrate my husband's birthday our family went out in the evening for an ice cream treat. Here's my crew enjoying their sweet treats! Sunday was also the day our homeschool group celebrated our annual St. Joseph feast day celebration complete with a St. Joseph Altar. We usually have the celebration on a Sunday around St. Joseph's actual feast day (March 19), so the Dads can attend also. My post HERE from 2011 tells all about the history of the St. Joseph altars, traditional foods, and black and white photos of the St. Joseph altars my Dad used to have when he was a child! 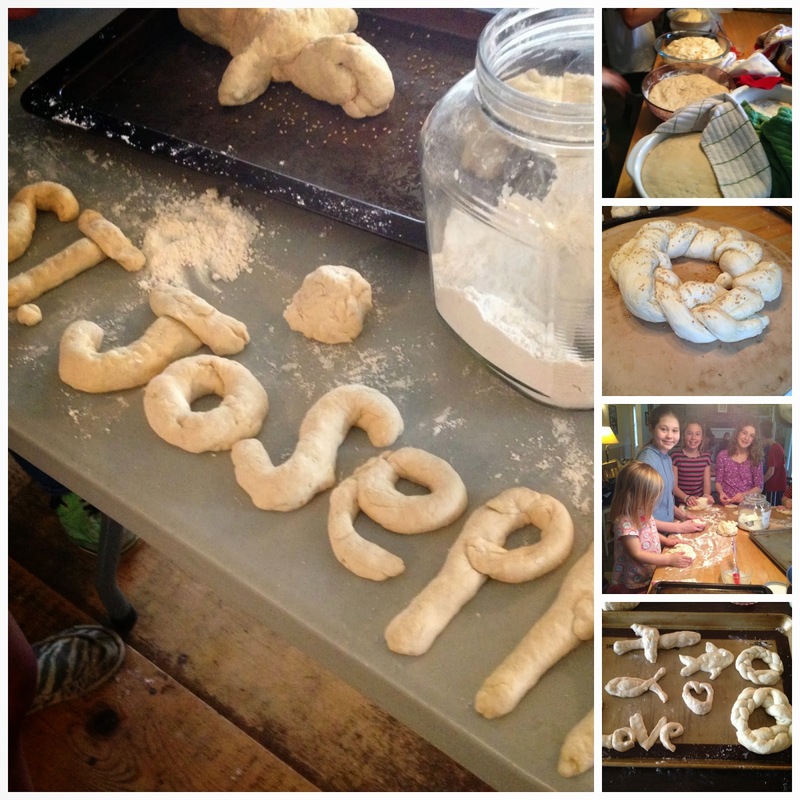 Our homeschool group has celebrated St. Joseph's Feast Day for 10 years now! Wow! How time flies! 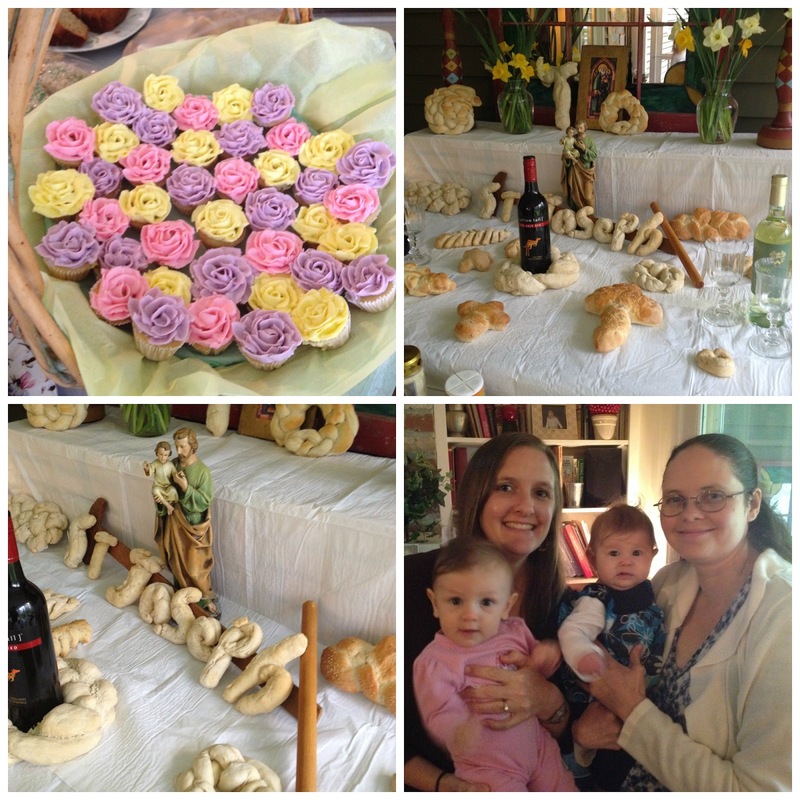 We decorate the altars each year with the homemade breads that our homeschool group gathers to make a few weeks prior to St. Joseph's feast day. Then we recited a Litany of St. Joseph that my Dad led for everyone. (My Dad is the bald, Italian guy in the green shirt with the camera around his neck :) ) Our family is blessed each year to celebrate this special feast day with my parents. After grace we all had a delicious meal. Our wonderful host family made these goodie bags for each family that had a fava bean, homemade Italian cookies, and a St. Joseph holy card in each bag. Here is the group that was able to attend this year's celebration. 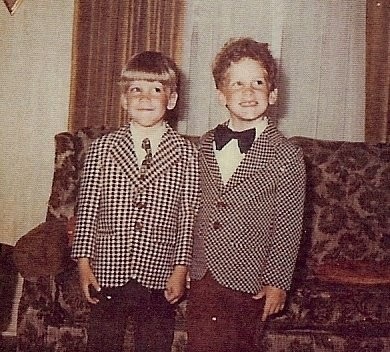 This was the first time our celebration had to be indoors due to the cold, rainy weather outdoors. But, despite the dreary weather it was a beautiful day of feasting, fun, and fellowship!